Prime ministers, ambassadors, military chiefs and even rugby teams from Italy and the UK have been meeting this month and finding they have interests and principles in common. It all looks good for close ties between Italy and the UK after Brexit. The Italian Prime Minister Paolo Gentiloni has visited Theresa May at Downing Street for a working lunch, followed by a press conference. They discussed the future of Anglo-Italian relations as the UK leaves the EU and areas relating to Italy’s Presidency of the G7 the organisation representing the world’s seven largest economies. They also agreed to establish regular bilateral summits between the UK and Italy. On the subject of the UK’s future negotiations with the EU, Gentiloni said that, “we are aware of the fact that negotiations will not be easy. And we also know that we need to show a constructive and friendly approach.” He hopes the 27 EU countries will be united in ensuring the best possible agreement, saying there was no need for “destructive” negotiations. 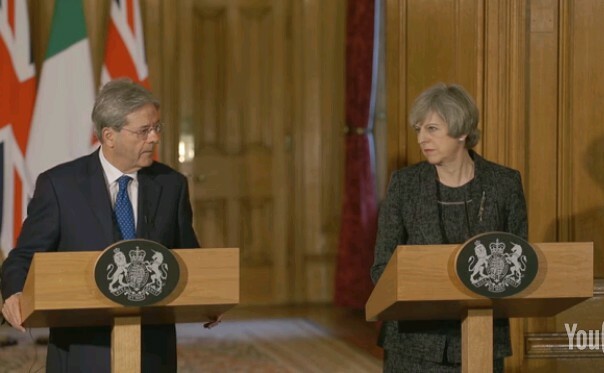 See the full transcript of Theresa May and Paolo Gentiloni’s press conference here. Italians currently living in the UK may be concerned about their future residency, but at a presentation at the Palazzo Giureconsulti in Milan on the 2nd February, Britain was actively encouraging businessmen, students and Italian tourists to choose the UK for business, study and holidays. In the presence of the British Ambassador in Italy, Jill Morris, the initiative was promoted by British organisations in Italy, the British Embassy, the British Council, the Department for International Trade (DIT) and VisitBritain. For an explanation of the buying processes, the Italian property market and how to get the best exchange rate for Italian homes, download the Italy Buying Guide. In the British Ambassador’s opening statement, she announced a new digital platform created by the Department for International Trade (DIT) which aims to stimulate the creation of business opportunities for anyone from Italy who is interested in trading or investing in the UK, as well as help for UK businesses who want to sell abroad. Morris said that more than 10,000 Italians already choose to study in British schools and universities and that two million Italian tourists visit Britain each year. Britain is prepared to welcome even more, she said. Despite the EU referendum result she is confident that “the relations between Italy and the United Kingdom will be strengthened by this complex path, by virtue of the common interests and ties that have always united and brought our two countries together. When it comes to defence, off the rugby field, Sir Michael Fallon is the man Britain sent to meet with the Italian Defence Minister, Roberta Pinotti. Fallon reassured Italy that Britain was a “key ally and would not be stepping back from European defence and security commitments following the Brexit vote”. The two countries are strong partners in the NATO alliance. Led by the Italians, a small team from the Royal Navy recently helped train the Libyan Coastguard to secure its own borders and disrupt people smuggling and illegal arms trafficking in and around Libya. 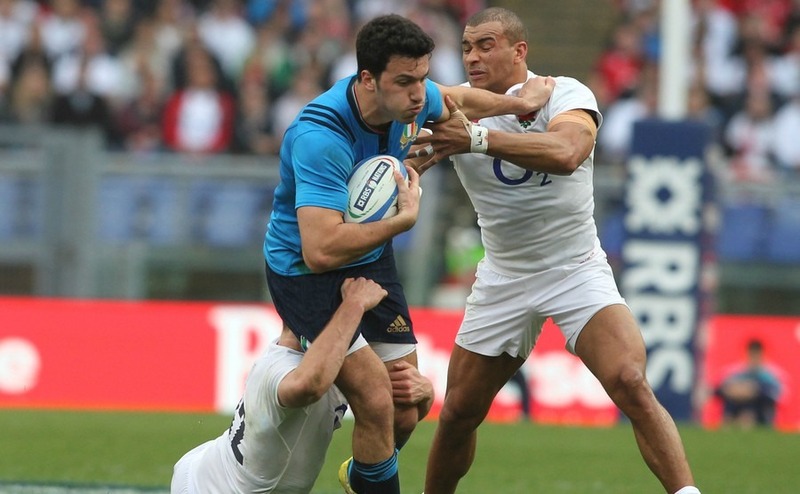 While British and Italian politicians tackle business the Nations rugby teams are preparing to do battle on the field in the Six Nations Rugby. Italy have already lost to Wales and Ireland, but will be at Twickenham against England on 26th February and in Scotland on the 18th March. The British fans will show the Italians a warm welcome as they come together to enjoy a sport they both love and show EU and British negotiators that there is more that bonds the two countries together than Brexit can pull apart. With the close connections forged by family and friends in both countries, work colleagues, student friendships and tourists who enjoy exploring the history and traditions of each other’s country, the UK may be leaving the EU but it will always be part of Europe and a friend of Italy. If you are looking to move to Italy or do business there in the near future, get a free no-obligation quote for your Italian currency from Smart Currency Exchange by clicking here.